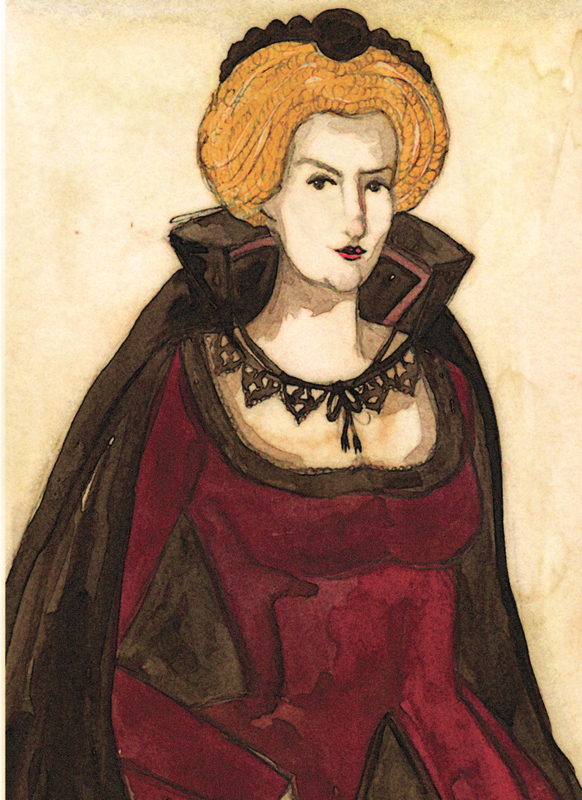 Say Hello to Anne of Denmark. She is NOT the accused witch, but very relevant to a witch story. In 1590, The Danish courts’ resources were depleted due to numerous witch trials, meaning, it was a very touchy subject. James VI happened to be in town to meet his betrothed… Anne of Denmark. On this visit, he was privy to some of these trials and displayed a strong interest in the proceedings. Soon after, Anne and her entourage set sail for Scotland where she was to be officially married. However, a giant wall of dangerous storm forced her and her fleet to take shelter in Oslo. James came to her rescue and the two were married at the Old Bishop’s Palace on November 23, 1589. Had to be witches right? A paranoid witch hunt ensued and Anna Koldings, along with 5 other women confessed, under torture of course, to using black magic to bring on the storms- disturbing Anne’s voyage. They went as far as to say that devils were sent to crawl up the keel of the ship. Anna Koldings, along with twelve other women were burned at the stake in Copenhagen for sending the storms that interfered with a royal voyage. Wow. just… wow. Not sure of the timing, but right around the time of the burning, Anne of Denmark- entered Edinburgh in a solid silver coach, with James riding alongside on horseback. Smiling, no doubt. As you may know, James was a well-documented witch-hunter. Historians believed this was due to his exposure to the trials going on in Denmark. When he was back in Scotland, he launched his own investigation and trials. He accused several women of sending the storms to disrupt his union with Anne. Specifically, Agnes Sampson. Methinks James was a bit of a sadist as he actively participated the torture of women accused of witchcraft. Kinda makes your stomach turn. And one of his many descendants is the current queen of Great Britain.